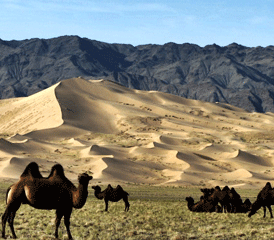 Get your chance to reveal the most beauty of the Gobi desert & Khangai regions. The tour starts with nature sightseeing in Hustai, Lake Ogii Tsenkher hot spring, continues for the cultural experiences in the ancient capital of Karakorum including legendary Erdene – Zuu monastery from 15th century, Karakorum archeological museum. And the last leg of the tour, you’ll visit to the famous Gobi desert including Khongor sand dunes, Bayanzag – Flaming cliffs and Yol Gorge of Gurvan Saikhan national park via Ongi monastery ruins’ visit. The word Mongolia often stirs up an image of ancient warriors on horseback to many. And plenty think that Mongolia is all about horses and wide steppe – well, true to some extent as the Mongols have more than 3 million horses and the country is the 19th largest country by territory. However, Mongolia is a lot more than that – globetrotters are mesmerised by the diverse natural and cultural wonders that Mongolia has to offer. 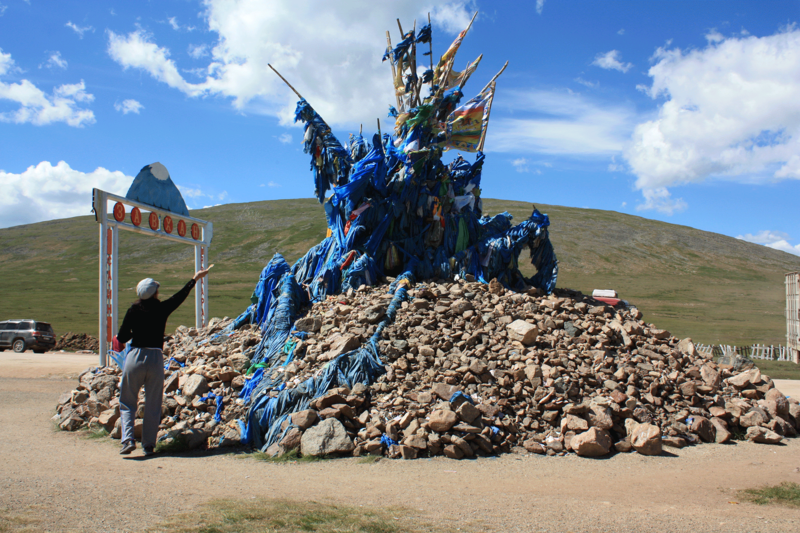 This overland journey will take you to through the best of Central and Southern Mongolia as well as the essential sights and cultural performances in/around capital city Ulaanbaatar. The first leg of the journey will guide you across the Central Mongolian plains, visiting the Khugnu Khan Mountains, ancient capital at Karakorum with the legendary Erdene Zuu Monastery, and the UNESCO world heritage Orkhon River Valley. 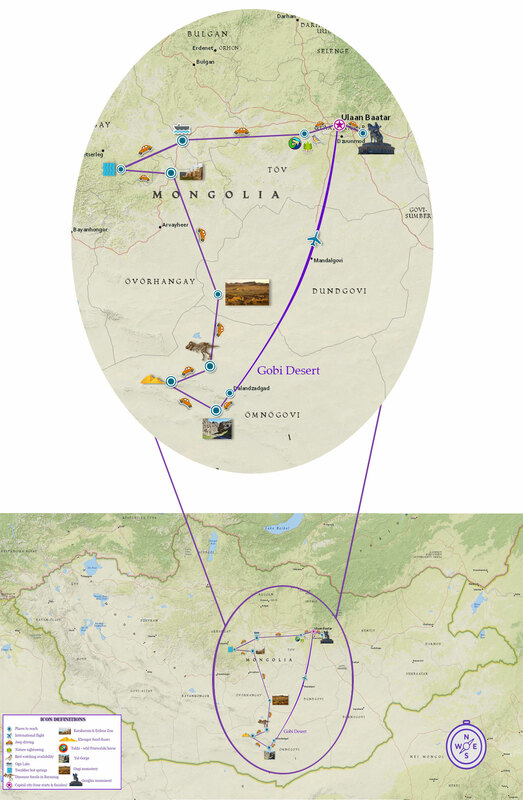 On the second part of the journey, you will tour the highlights of the mysterious Gobi Desert such as Bayanzag Flaming Cliffs and explore for dinosaur remains, enjoy a sunset camel ride at the Khongor sand dunes and oasis, and hike in the glacial Yoliin Am Gorge with glimpses of rare wildlife. Prepare your camera and batteries well as Mongolia’s a super photogenic country. Besides, Mongolia’s the home of hearty nomadic people, whose lifestyle has not been changed a lot since the days of Genghis Khan and his empire. You might have heard many stories of travellers being dazed by the sincere hospitality of the nomads. However, if you look deeper into their spirit, you will witness how strong, stern nomadic men can be moved to tears just by their race horses rushing to a finish line. Their lifestyle, religion and philosophy are shaped by the Mother Nature to a great degree; and nomadic customs, music, literature and costumes have been passed through centuries. And in this hectic 21st century only Mongolian nomads welcome strangers with unlocked doors. There will be plenty of occasions you will meet real nomadic people and enjoy their heart-warming hospitality during the journey. Premium Travel Mongolia tour guides are knowledgeable, experienced, and are happy to be the ambassadors of their country. Plus, travelling extensively in remote Mongolia and discovering the wonders doesn’t mean rough travel conditions. On this tour, we utilize comfortable 4×4 Land Cruisers, clean and comfy Ger camps (3 nights in deluxe Ger camp!) to complete your wonderful Mongolia stay with us. Day 3. Ulaanbaatar -Elsen Tasarkhai – Mt. Khugnu Khan 4-5hr drive. Meet at 8.00am and pack the vehicles then start the tour. We drive to the beautiful Elsen Tasarkhai sand dunes for 3hr. Arrive and transfer to tourist camp for lunch. 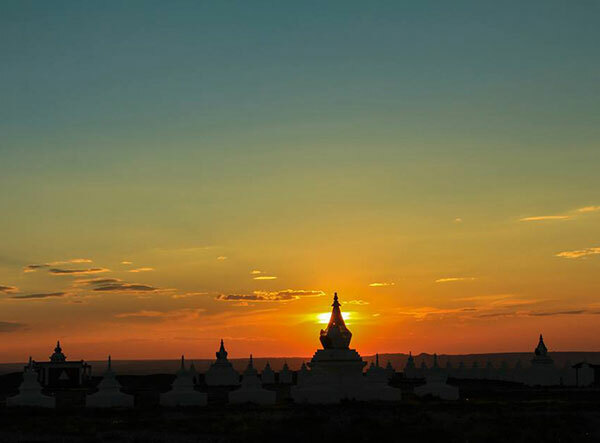 In the afternoon visit the Erdene Khamba monastery ruins in the picturesque Khugnu Khaan Mountain, take some hiking. Return to the tourist camp for dinner and rest. After breakfast, we drive to Karakorum for about 1hs, arrive and visit the Erdene Zuu Monastery, the oldest Buddhist monastery in Mongolia founded in 1586, and take part in the morning chants. Then visit the newly opened Open Air Museum of Karakorum, which displays some interesting findings from Karakorum ruins by the Mongolian-German join expedition. Check into Ger camp, have lunch. Then visit the Karakorum Museum and get some knowledge about the UNESCO world heritage Orkhon River Valley and the ancient capital Karakorum. Day 5. Karakorum - Ongi monastery drive. ~ 5-6hr drive. Today we head southwards towards the Gobi Desert. The drive today is scenic as usual however, the terrain will gradually change into semi-desert zone. We reach the Ongi Monastery Ruins by late afternoon (picnic lunch on the way) and check into Ger camp. Rest a bit and then take some walking to the monastery ruins. Dinner and overnight at the Ger camp. Day 6. 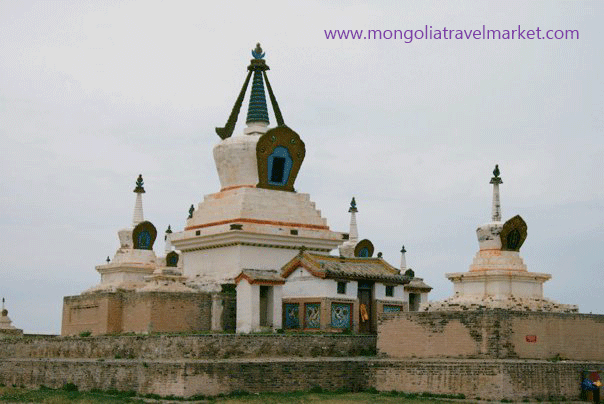 Ongi monastery to Bayanzag Flaming Cliffs. ~3-4hr drive. After breakfast we continue the drive to the Gobi and reach Bayanzag – one of the most known dinosaur remains site in the world. Indeed, it’s where Roy Chapman Andrews made his discovery of dinosaur eggs in the early 1920s during his expedition to Asia. Andrews is believed to be the inspiration of the si-fi character expolrer Indiana Jones. Arrive in Bayanzag and transfer to Ger camp and have lunch. Visit the Red Cliffs (Flaming Cliffs) and explore for dinosaur remains, it does take some walking in the badlands and many people find the real thing! Then in the early evening transfer to the Ger camp, check into your En-suite Gers. Rest. Watch the Gobi sunset as you enjoy your special dinner. Day 10. Departure/extension. 50min drive. 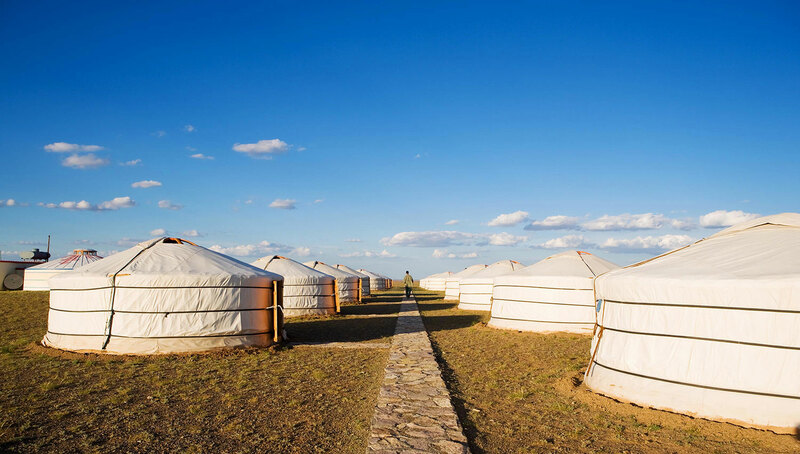 Twin/double share accommodation: excellent 4* hotel in Ulaanbaatar for 3 nights, standard tourist Ger camps for 3 nights, and deluxe/en-suite Ger camps for 3 nights.